1960s: Man adjusts rocket booster. Man swivels rocket booster. Rocket engine booster. Man walks by rocket booster tank. hd00:25Medical research. Doctor analyzes results of a magnetic tomography. 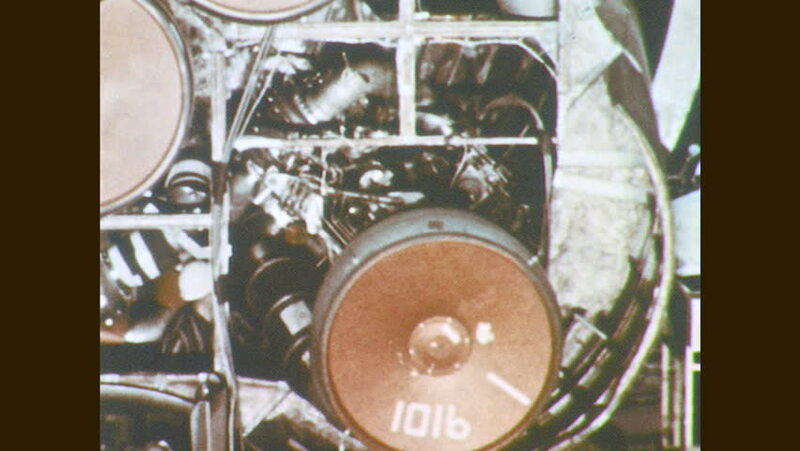 hd00:111960s: Uniformed man works on engine panel. Uniformed man works on rocket engine. hd00:15Chemical reactor mixer. Stirring blades rotate in a blue transparent liquid. Close-up.